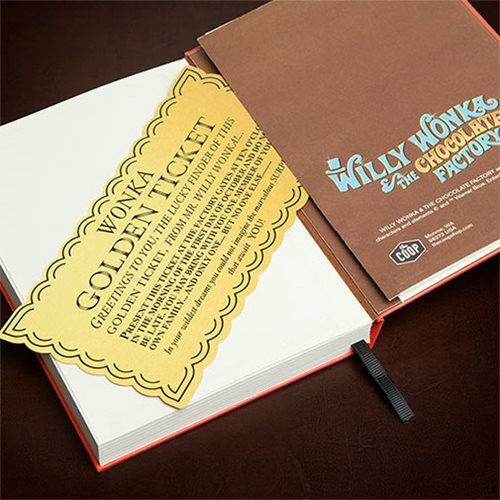 Keep your track of your tasty creations in this Willy Wonka Hardcover Journal! 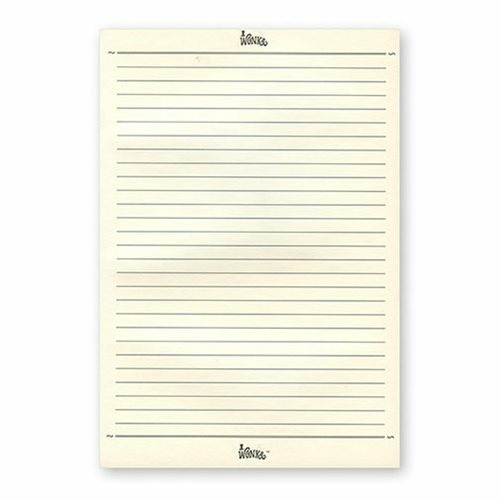 It holds 232 lined pages with the Wonka logo at the top and bottom of the pages. It features candy themed artwork on both inside covers, including a folder on the back cover with your Golden Ticket tucked inside! 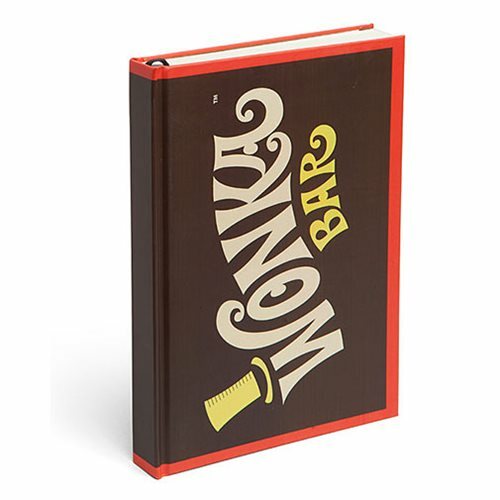 The Willy Wonka Hardcover Journal measures approximately 8 1/4-inches tall x 6-inches wide x 1-inches thick.